A close back and forth game ended with the Patriots pulling through in the end. The Colts gave the Patriots everything they had, scoring the first touchdown of the game on a redzone fourth down try. They later picked Tom Brady off on a tipped Julian Edelman pass, and headed into the half with a one point lead, 21-20. A questionable muddle huddle call by the Colts in the third quarter helped turn momentum for the Patriots as they built a 34-21 lead for most of the second half. 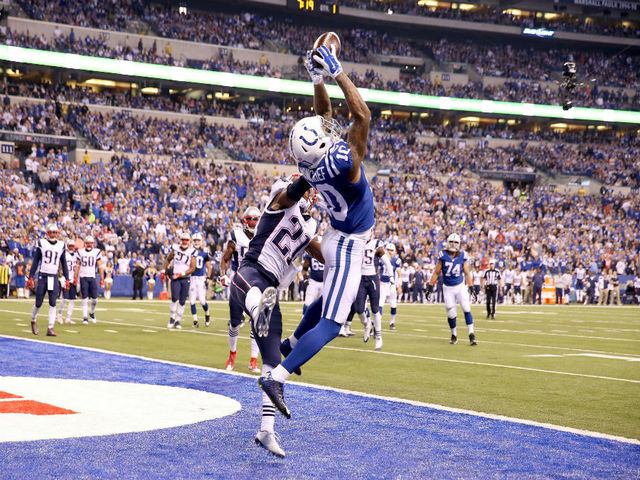 A late Colts touchdown gave Indianapolis a chance, but the Pats emerged victorious, 34-27. LeGarrette Blount rushed 16 times for 93 yards and 2 touchdowns, one of which was a receiving touchdown the other was a 38 yard rush. Danny Amendola was reliable with 7 catches for 105 yards. The Pats advance to 5-0 and play the Jets next Sunday at Gillette Stadium.